CASE Study Blog Hop Winner!!! Oh and if you liked my painted cameos and trinket pins stay tuned, I'll be opening a little Etsy shop soon! I'll also be having another giveaway to celebrate! I hope that tickles your fancy!! Labels: Blog hop, cameos, Case Study, giveaway. Congratulations Maureen and what a wonderful lot of blog candy! What a super prize - I do like the cameos - congratulations to Maureen! I'll be watching for the shop opening! Congrats to Maureen! I just came by to check if you sold these on Etsy, glad to hear you'll be opening a shop soon. Can you email me when you do? Love your creations! Congrats to Maureen! Lucky girl! 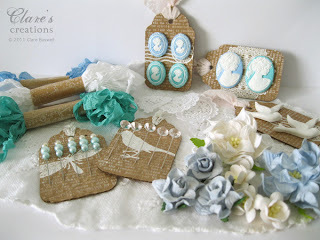 CASE Study Anniversary Blog Hop!! !